As the New Year rolls over to the new year, I am struck by the amazing team I work with. I also had an amazing team ten years ago, but it was very different. Back then, my team consisted of twelve people and about half a million dollars in payroll. I had an office staff, technicians, graphics designer, dedicated programmer, and lots of administrative assistants. Today I have one employee on payroll. My administrative assistants are outsourced. I work with two accountants, both outsourced. I have two web programmers and two graphics people - both outsourced. When needed, I hire specialty programmers, voice over talent, layout designers, and UI designers. And, of course, I outsource some instructors for our five-week classes. Today my team is about . . . twelve people. But total expenses and payroll are under $50,000. I also have a life coach, who doesn't "work for me" per se. But she helps me make good decisions. Finally, I have three different unofficial advisory boards in the mastermind groups I belong to. These are all unpaid. But we help each other out, keep each other in line with our stated goals, and brainstorm about the future. I loved the days when I saw my team every day. I loved walking into the office with a new scheme to change the business or develop a new product. Work would be delegated quickly and everyone buzzed around making stuff happen. And my team loved being my team. It was a great time. Today I am probably more productive and certainly more "lean" than ever. Most members of my current team have never met each other in real life. In fact, there's a few *I've* never met in real life. But it works. It's important to think of your team as a team - whether they're local or remote. You need to conceptualize them as a team in order to maintain a picture of the Big Picture. You also need to recognize that most members of your remote team don't see themselves that way. They see you as a client and only know your business in terms of your interaction with them. You need this centralized vision in order to maintain your branding to the outside world. And choosing outsourced resources is just as important as choosing employees. You need to remember to hire based on your overall culture and fit with the branding you want the rest of the world to see. I firmly believe that most IT consultants will find themselves down-sizing their teams while taking on more clients in the years ahead. We really are the masters of automation, if we choose to be. If you haven't broken out of a business model that emerged fifty years ago, maybe 2019 is the year to consider how "else" you can run your business. For those of you who missed the first nine years . . . This is a webinar focused on YOU and on our industry. 2018 was a great year for small business IT. On one hand, 2019 looks like it will start with some economic turbulence. On the other hand, there's a vast amount of opportunity in emerging technologies. Many companies don’t have a formal employee onboarding process. Why do you need one? Well, for starters, it makes you look more professional to potential employees and new employees. It also gives them confidence that your company is legit. After all, if you fumble around and don’t seem to know what you’re doing, that might scare off a lot of good people. We’re in an interesting environment right now. Almost any employee you hire will have come from another managed service business. They will probably know about ticketing, PSAs, remote monitoring, and even standard operating procedures. So if your onboarding process is sloppy or haphazard, you’ll have a tough time keeping new employees. Remember – first impressions are very powerful. Most importantly, a good onboarding process helps you get the best out of your employee “investment.” It takes a lot of time and effort to hire the right person. You might as get your money’s worth. And, let’s be honest, a simple checklist can go a long way to make sure you did everything the right way with regard to taxes, payroll, employment laws, and all the other “stuff” you need to take care of. Even if you have some kind of employee onboarding process, it might be time for a tune-up. Join us for this three-session mini class that’s guaranteed to be full of tips and tricks you can put to work right away! And of course we’ll answer all your questions. 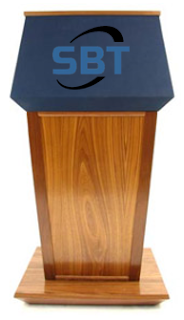 – Note: No class January 16th due to my Annual State of the Nation address. 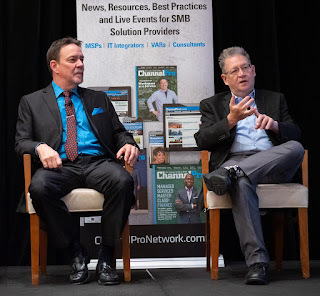 Join Me for one (or more) of the 2019 ChannelPro SMB Forums! ChannelPro will hold events in FIVE cities next year. I plan to be at all of them. A free, live event in a city near you! Sales Tip Shootout!—Which sales expert is the best of the best? Decide for yourself as three leading sales consultants vie for your votes while providing concrete advice on challenges that channel pros face every day, from landing appointments and overcoming objections to cross-selling services and beyond. Peer to Peer: Winning in Cybersecurity—Join ChannelPro's Colleen Frye as she talks one-to-one with three of your channel pro peers about proven best practices for launching a security practice, selling security services, and more. IoT Playbook: Getting Started in the Internet of Things—If you're like most channel pros, you know how big the Internet of Things will soon be but don't know how to make your way into that market. We've got the answers you're looking for!In these three fast and furious mini-sessions, IoT authority Benson Chan will offer actionable advice on what services to start with, the skills you'll need to deliver those services, and the most successful techniques for finding prospects and closing deals. MSP Pain Point Clinic: Having trouble getting your pricing right, hiring good technicians, or getting your clients to pay on time? 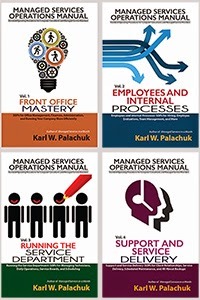 Managed services consultants Karl and Manuel Palachuk have the cures you need to those and other operational pain points. Join them as they help members of our audience tackle real-world business challenges live and on stage! Hardware Tech Trends: Let ChannelPro's Matt Whitlock take you on tour of the latest trends in SMB hardware while you explore a selection of this year's hottest new laptops, tablets, and more. 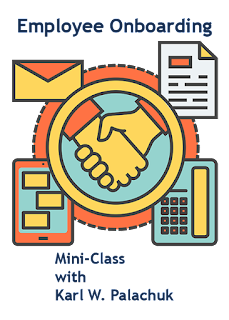 Get Ready for Managed Everything—If endpoint management and cloud-based email are the only subscription-priced services you offer, you're missing out on a wide world of additional as-a-service recurring revenue opportunities. Our panel of experienced MSPs will prove it too in this fast-paced panel discussion of real-world opportunities in hardware-as-a-service, communications-as-a-service, disaster recovery-as-a-service, and other cloud and non-cloud solutions. If you're looking to break into managed IT services, or to grow your IT business to the next level, this event is perfect for you. The event is free to IT pros, and you are encouraged to bring your staff with you so you can all benefit from the learning and networking during the event. My brother and I are planning a really fun and educational presentation. Join us! Well, another big project is "in the can" as we posted the final video podcast in a series today. 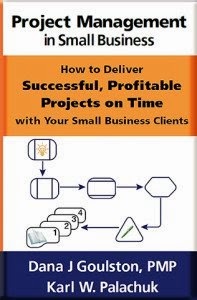 Today's podcast over at SMB Community Podcast is: Go To Market with Remote Support Service. 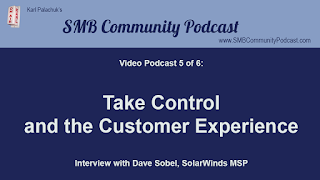 This SMB Community Podcast is the sixth in a six-part series on improving your business and making more money with SolarWinds MSP's "Take Control" product, featuring Dave Sobel, Senior Director of MSP Evangelism at SolarWinds MSP. Dave makes an excellent point that you can move away from fear-based selling that is so common with security products. With Take Control, you can engage clients and prospects with a product that they’ll want to buy. As Dave says, no one likes to be sold, but people love to buy! Show them a cool tool that they will want to have in their company. It’s a great way to get started with SolarWinds Take Control! 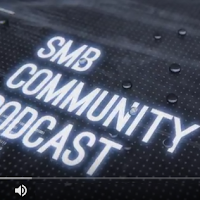 If you haven’t seen the entire six-part series, you can binge watch today at SMB Community Podcast. The last Channel Company event ended this week. So it's time to register for 2019! I've registered already. Hope to see you there. We're heading to Mandalay Bay this Spring with one goal in mind — help you drive your business forward. To do so, we've packed the agenda with opportunities for you to network with peers, learn from the best in biz and explore the hottest innovations. It's time to invest in yourself and your employees. Why? Because success is a team effort. Our pre-con equips your team with the tools it needs to seize new opportunities. Want in on the action? Register today to join 6,200+ channel pros and to take advantage of best rates. This morning I posted a new SMB Community Podcast with Dave Sobel, Senior Director of MSP Evangelism at SolarWinds MSP. It's the fifth installment in a six-part series entitled Remote Control Deep Dive: Build and Grow Your Business. In the series, we're talking about how to get the most out of your remote control tools - and make more money. In this episode, we touch on many features of the Take Control tool designed to help you improve and manage the Customer Experience with your technology consulting business. Some of these features are built in (and configurable/customizable). Others come into play as a result of agreements or policy decisions you make with the client. As we mentioned in another podcast, you can use the Take Control app to help the client create terms of service. This is great for setting expectations with your primary contact as well as with end users. Plus lots more good information. Check it out today at www.smbcommunitypodcast.com or on iTunes. Just look for SMB Community Podcast. Tune in next Thursday for Episode Six . . . Remote Control as the Ultimate Sales Tool. NexGen is always a great event. And for the last two years, it's been the last big event of the year. My overall feeling about this event was that it was relaxed. Vendors were relaxed because the next thing they get to do is go home and enjoy the holidays. And pretty much the same thing was true for attendees. The keynote speaker, Nancy Giordano, was excellent. She have a lot of great information about newer technologies and trends. Maybe I enjoyed it a lot because I've been preaching this message for a year now. The future is coming - fast - and you better be prepared for it. And of course that's the actual focus of of the NexGen conference and expo. 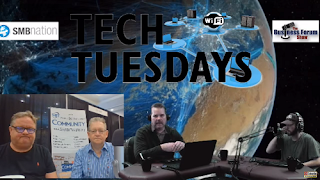 Harry Brelsford and I managed to take half an hour to participate in a discussion about future technologies, the flow of business, SOPs, and some tips about 2019 for your small business IT consulting. View the program on YouTube. The recording here is from the folks at Northwest Digital News, Kevin Hunter and Kyle Torgerson. I hope you'll find it interesting. And I think it's a really good fit with the forward-looking nature of the NexGen conference. Note that the 2019 events calendar is on a link there. Also note that NexGen is moving to October in 2019. Get on their list and don't miss it! Starts Thursday. FREE to Small Biz Thoughts Community members. 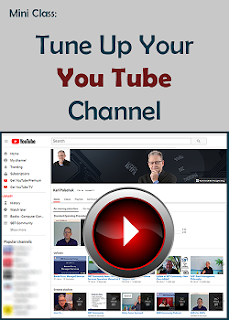 Tune Up Your YouTube Channel – 3-Week Mini Class. 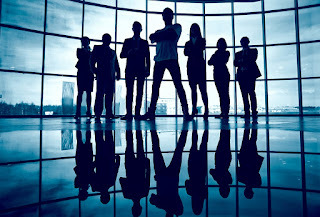 Most small business start out with one or two people and often stay at the one-two-three level for many years. But we've seen a great deal of growth among IT providers in the last few years. As more and more MSPs grow their revenues to $1 million, $2 million, $5 million, and more, they also face some major challenges. 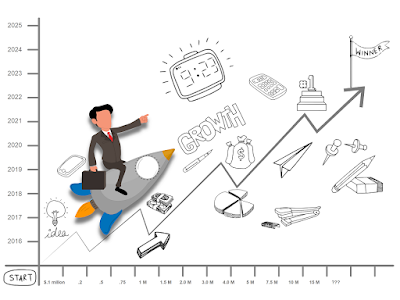 Join me for a look at the Five Greatest Challenges faced by growing MSPs. December 19th. I've worked directly with dozens of IT companies, and indirectly with hundreds more. I've managed teams with millions in payroll. And I've seen the problems, challenges, and mistakes that keep them from achieving their best results. Plus, I've collected data on the challenges of thousands of MSPs worldwide. I grew my first MSP business to just about one million ($960,000 revenue to be exact) with twelve employees before I sold it. The largest team I've worked with was at HP's Roseville, CA plant. I managed the internal software support team there. I had 25 technicians on my team. We supported 5,000 desktops with a total of about 7,000 machines. And as a coach I've worked with companies ranging from very small to just over fifty employees. I've helped companies grow significantly. And I've refused to work with a lot of companies that don't have what it takes to grow their businesses they way they say they want to. The point is: I have experience working with IT consulting businesses of all sizes. And I can tell you, there are some challenges common to businesses that start to grow. You are familiar with your own challenges, but might be wondering whether everyone else goes through the same thing - And how to get through to the other side. Join me for a look at the challenges of growing your IT company beyond the invisible (psychological) barriers at $1 million, $2 million, $5 million, $10 million, and beyond. Most companies above $1 million/year in revenue are a lot less profitable than they should be. But that's not one of the five big challenges! It's just a result. Join me to learn the five biggest challenges of growing your business - and the five changes that will get you un-stuck. Sign up today and join me live on December 19th. Note: Let me fast-forward to the last slide. I'm not trying to sell you coaching. I probably don't want to be your coach. I only take 1-2 coaching clients per year. I can refer you to a coach. But it's not me. I just want to help you to become even more successful so you'll tell everyone else to buy all my books, take all my classes, and join my community. It's finally done. 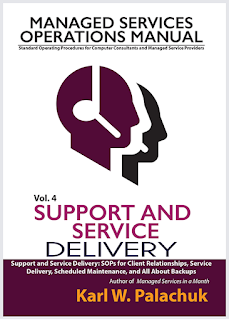 I just posted Volume Four of the Managed Services Operations Manual in the Small Biz Thoughts Community. This is the audio book version. That means you can download the entire 4-volume set in the SOP series as audio books.
. . . And that takes us to more than a dozen books you can download as audio programs or PDFs. The audio programs each include the related checklists, SOPs, and other downloads that you would get if you purchased the books separately. Please Note: I really want people to join the Community so they can interact, ask questions, attend classes, etc. But I know that some people just want to make sure they will get their money's worth. Well . . . downloads in the Community now exceed $4,500 . . . and will soon top $5,000. And we're not stopping. The web site is growing and growing. Traffic is skyrocketing. And Ruben and I are monitoring to make sure it all keeps working. So far, things are smooth. I also have a bunch of Community videos on my YouTube Channel at www.youtube.com/smallbizthoughts. Membership has really started to grow. Stay tuned for announcements about some major changes coming soon. I'll be launching a quick monthly newsletter in the next week. There you can learn about the special Community Members Only deals for 2019. Most of the "deals" really consist of "Available to members at no additional charge." As membership grows, we can afford to shift the business model to be more and more focused on providing additional benefits. Within the Karl's Korner forum, there are codes to get 20% off anything you need at SMB Books. And a code to get a massive discount on the 5-week classes. But remember that 100% of everything you find in the Community can be downloaded at no additional charge. Dig in and grow your business today!